A small anthropomorphic figure, with characteristic claw-like hands and lustrous, even featured face, with eyes of inlaid bone, this zemi is Janus-faced, with another face on its back. A cotton frame decorated with shell beads holds the large mirror earrings are held in place. The entire body is elegantly decorated with shell beads set in interlocking patterns. This particular zemi figure is Janus-faced, with this side depicting a human being. The human face is carved from a kind of animal horn, which has taken on a golden brown patina over time. The body is elegantly decorated with shell beads set in interlocking patterns. The zemi is hollow and may have functioned as a reliquary for the bones from a dead ancestor. It measures 32 cm in height (ca. 12.6 inches). We do not know who made this figure, although it may have been commissioned by an elite Taíno lord who dealt with the Spanish conquerors of Hispaniola (as the island was renamed) since the access to the prized European trade goods directly incorporated into (and indirectly inspiring) this piece was restricted to a very few people. The face of the zemi is likely rhinoceros horn, imported into the Caribbean from Africa soon after the arrival of Columbus. The beads were carefully cut from Caribbean shells and then woven into the complex geometric pattern seen here. Through its mix of local and imported materials, this zemi suggests how the Taíno responded to the introduction of foreign materials as they, too, became part of an increasingly “international” world in the late 15th century. 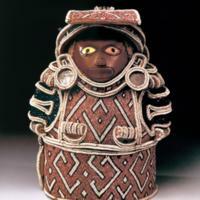 Zemis were among the first indigenous objects collected by Europeans in the Americas and sent back as curiosities. This work, misclassified for years, was identified as Taíno only in the 20th century. It was probably among the earliest works by a native artisan to be sent across the Atlantic. Like many other people in the Americas, the Taíno remained connected to their dead through objects like this one. European observers noted that zemis were sometimes like oracles, speaking to their worshippers. Zemis also seemed to exert some control over the forces of nature. Little evidence remains of the spiritual crisis that the Spaniards’ widespread destruction of zemis must have precipitated, as it was overshadowed by the deaths brought about by imported European diseases and forced labor. Few Taíno survived the terrible plagues of the early 16th century, and so the specific meanings this zemi’s mix of materials had to its Taíno maker and patron are unknown today. 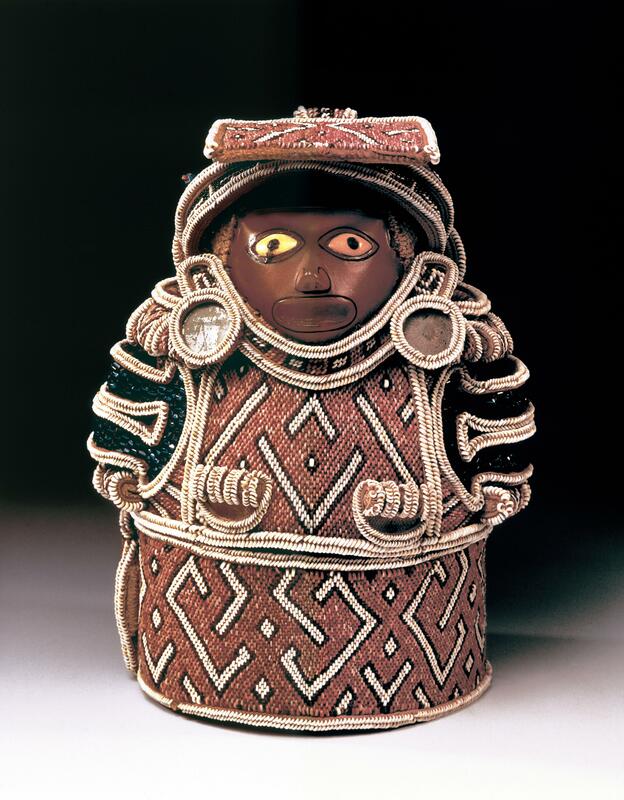 However, objects with parallel combinations of indigenous, African, and European materials recur throughout the colonial period, their meanings shifting across time and among different audiences.